Triskel Christchurch is Triskel Art Centre’s main Auditorium. Set in a stunningly restored 1700’s Neo-classical Georgian Church, this is a truly special place to experience a top quality programme of cultural events. Christchurch is a former Church of Ireland building which was deconsecrated in 1979 and subsequently purchased by Cork City Council. The building was home to Cork City Archives until 2005 when they were relocated to Blackpool. Cork City Council and Triskel Arts Centre went on to develop Christchurch as a state of the art cultural venue for Cork City Centre which opened in 2011. 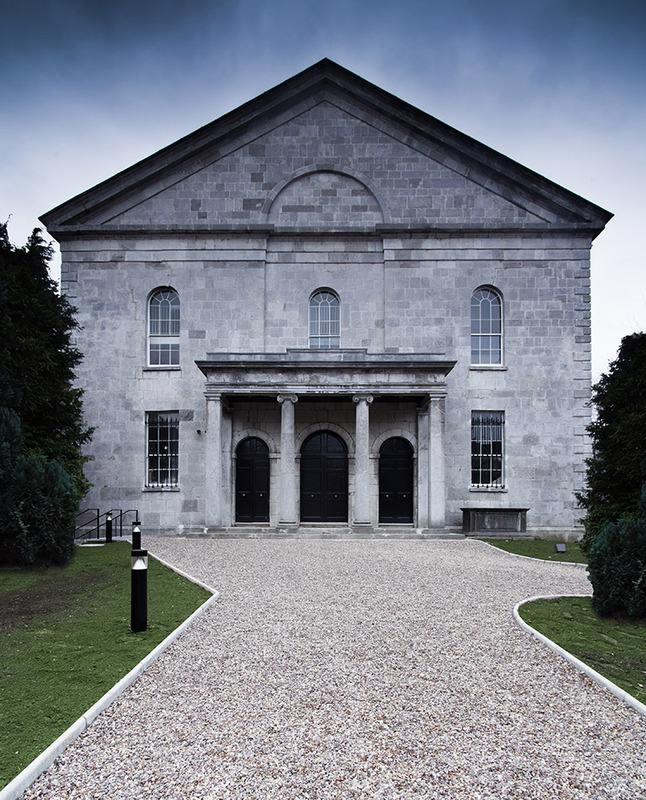 The former church is now merged with Triskel Arts Centre and programmed by Triskel with a busy line up of live music, cultural cinema, visual art and literary events. Triskel Christchurch Cinema screens two titles each week with additional special features and events. The programme is made up of Irish and Independent films, Horror strand Twisted Celluloid and Experimental Film strand Phantascope. Triskel also screens one short film per month in an initiative called +Short and has retrospective screenings of work from significant directors. Triskel Christchurch’s Live Music programme combines a mix of genres. There is a focus on Classical Music, especially concerts featuring emerging artists. Triskel is a year round home of Jazz and is one of the main venues for the Guinness Cork Jazz Festival. Singer songwriters feature heavily in the programme as well as Folk, Traditional, Experimental and Pop music and interdisciplinary events. Triskel Christchurch also acts as a Visual Art space along with the dedicated visual art room Triskel Gallery Space. Christchurch is an unusual room for exhibitions and can lend gravitas to the artwork. Triskel’s main literary events take place during Cork World Book Festival which we co-host with Cork City Library. This festival was founded in 2005 and its main ethos is to introduce international writers to Cork audiences along with providing a platform for work by Irish writers. Triskel Christchurch is also a beautiful setting for weddings for couples who choose to have a civil, spiritual or humanist ceremony.